Democracies are built on civic participation; their governance depends upon the active engagement of citizens in the political processes that allow them to thrive. Indeed, generations of political scientists have studied the dynamic patterns of civic participation in democratic societies. Unfortunately, there is much less understanding of the process and substance of civic engagement in non-democratic states. This gap must be addressed, especially considering the rise in international influence and the endurance of the authoritarian regime in the People’s Republic of China (PRC). 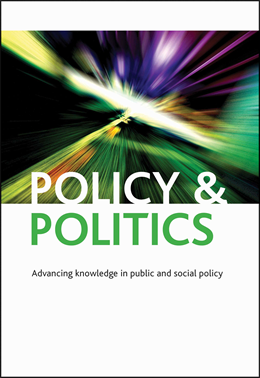 Popular political participation in policy making and governance does not exist only in democratic countries, but can occur in developing nations under authoritarian rule. Autocratic rulers may choose to promote limited citizen participation in low-risk policy areas in order to pacify social tension, reign-in corruption, improve financial accounting, and/or strengthen political legitimacy. This article examines and compares three styles of participatory reform undertaken by the communist regime of the PRC in the specific area of local fiscal and budgetary accountability. The three principal models — namely, the representative, consultative, and transparency pathways — are all managed by the local Party-state with the consent of higher authorities, but take remarkably different forms. Using the local budgetary process as their touchstone, we address the following questions: Why does an authoritarian regime seek to attract citizens to participate in policy making? What participatory models are promoted by the Party-state? What are the implications of these reforms on China’s long-term political future? These ‘pathways’ illuminate some potential directions the PRC regime might adopt if and when a more systematic and large-scale participatory reform is to be nationally implemented. Given the trends of growing apathy and distrust in citizen-state engagement in Western democracies, China’s local budgetary reforms are particularly illuminating for scholarly understanding of the power of citizen participation. Whether we consider the representative institutions in Qingxian or the deliberative forums in Wenling, citizens of the PRC demonstrate a high level of enthusiasm for participating in the local policy process and a strong degree of trust in newly available participatory institutions and channels. This enthusiasm and trust have, in turn, facilitated citizen engagement in the larger political system and strengthened the political foundations of the incumbent regime, and may also have helped to improve the quality of local governance. In the PRC, local participatory reforms have given a voice to those most directly affected by public policy, facilitated public learning, promoted active citizenship and thus increased citizens’ trust in the local government. We suggest that the Chinese experiences on citizen participation may be particularly meaningful for local governments in other parts of the world where fiscal austerity measures are being imposed. 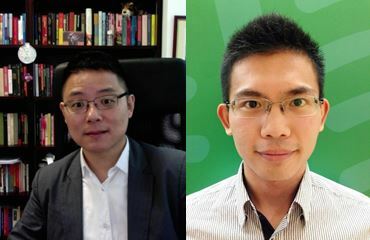 Xiaojun Yan and Ge Xin are both based in the Department of Politics and Public Administration at the University of Hong Kong.